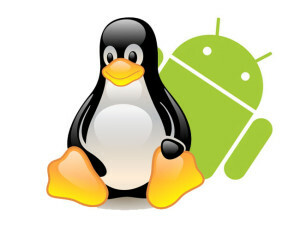 Linux creator Linus Torvalds has released version 3.9 of The Linux Kernel. This release has done nearly ten weeks after 3.8 version was released. The latest release of 3.9 can be obtained from Kernel.org. SSD caching: Linux 3.9’s addition of a device mapper target (dm-cache) that enables the usage of speedy devices such as solid-state drives(SSDs). Expanded Architecture support: This new release brings support for ARC700 processor family (750D & 770D) from Synopsys as well as the META ATP (Meta 1) and HTP (Meta 2) processor cores from imagination. Meta cores can be found in many digital radios, while the ARC700 family is commonly embedded in SoCs in TC set-top boxes and digital media players. Better Power efficiency: Thanks to the inclusion of intel PowerClamp driver, which performs synchronised idle injection across all online CPUs. Chromebook Support: Support for all most all chrome books supported by different vendors. Android developer Support: Linux 3.9 adds support for the “Goldfish” virtualized platform that’s part of the Android development environment. Essentially, that means it’s now possible to develop for Android with “out-of-the-box” kernels. Of course, this is only a small sampling of what’s new in Linux 3.9; a raft of new drivers and numerous other new improvements are included as well. A thorough summary is available on The H.
Nice Post. please publish your topic on getting ‘Too many Open files’ in linux server as many of us facing it in production.